The rambutan tree reaches 15-25 m in height, has a straight trunk up to 60 cm wide, and a dense, usually spreading crown. The evergreen leaves are alternate, 7-30 cm long, with reddish rachis, hairy when young, and elliptic, slightly leathery; yellowish-green to dark-green. The fruit is ovoid, deep-red 3-8 cm long. Its thin, leathery rind is covered with tubercles from each of which extends a soft, fleshy, red, pinkish spine 0.5-2 cm long. The hairlike covering is responsible for the common name of the fruit, which is based on the Malay word 'rambut', meaning 'hair'. 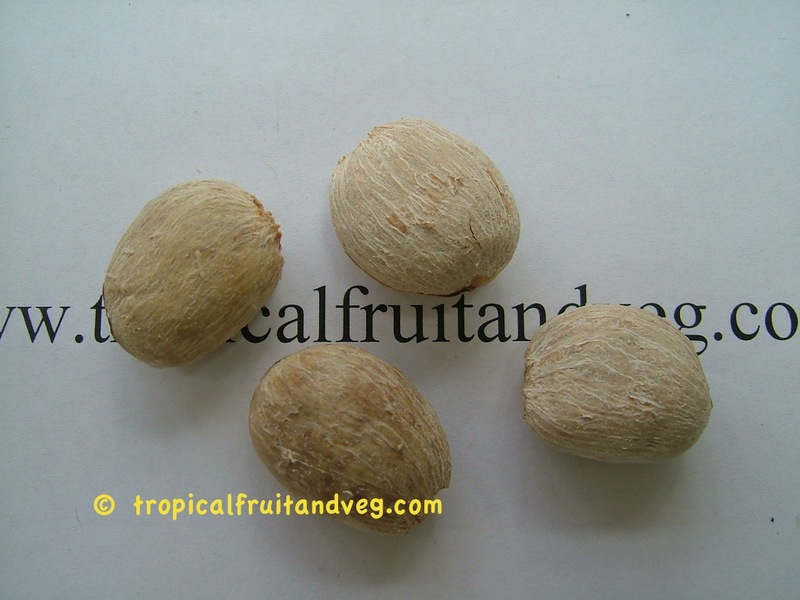 Within is the white or rose-tinted, translucent, juicy sweet flesh, 0.4-0.8 cm thick is a flattened seed. 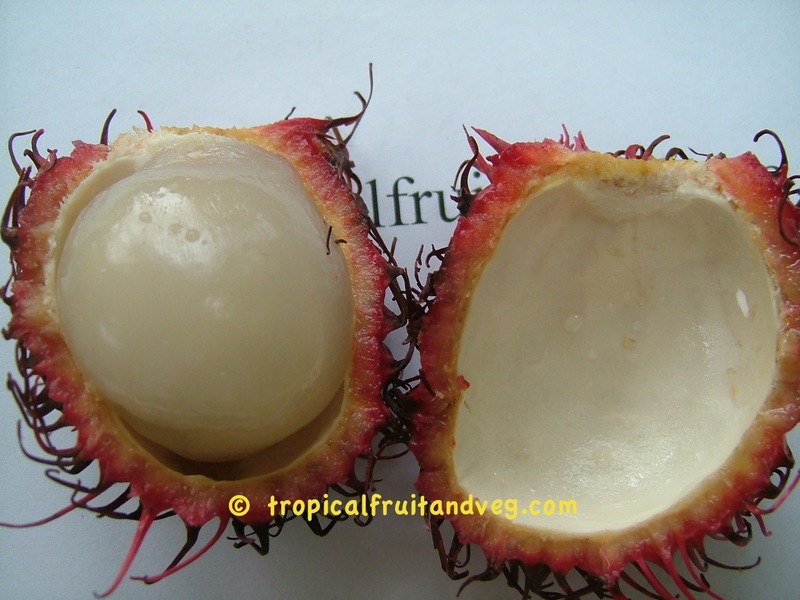 The rambutan flourishes in tropical, humid regions having well-distributed rainfall. The dry season should not last much over 3 months. The tree does best on deep, clay-loam or rich sandy loam rich in organic matter, or in deep peat. It needs good drainage. 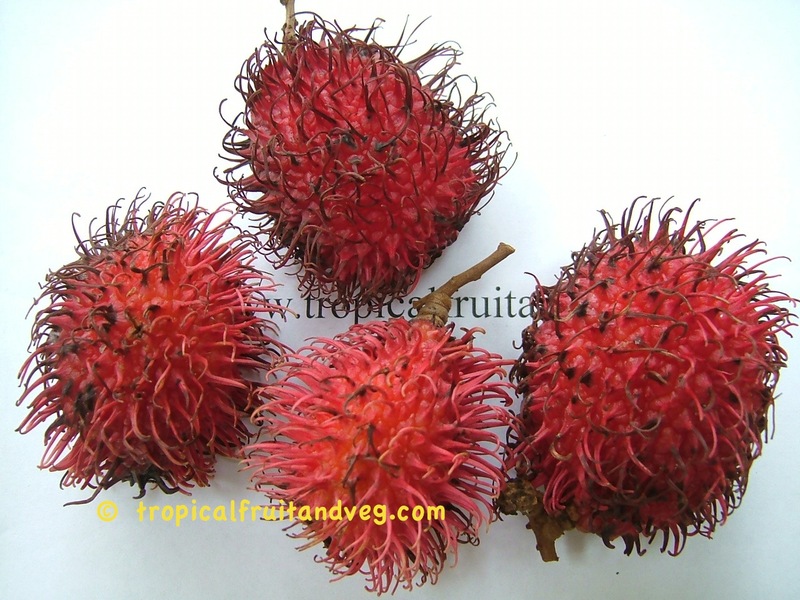 Rambutan seeds, after removal from the fruit and thorough washing, should be planted horizontally with the flattened side downward in order that the seedling will grow straight and have a normal, strong root system. Seeds will germinate in 9 to 25 days, the earlier, the more vigor in the seedling. Rambutan seedlings bear in 5-6 years, the ratio of female to male trees is 4 to 7.